Panasonic launched two new multifunction devices into market: the KX-MB271 and the KX-MB781. 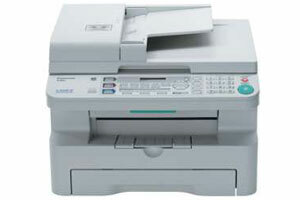 Panasonic KX-MB271 as a decent multifunction device can scan, copy and print. It is built around a monochrome laser printer engine that can print 18 ppm at a resolution of up to 600 by 600 dpi, with a claimed warm-up time of 15 seconds. The scanner scans at up to 600 by 1200 dpi and can automatically crop scans to the size of the scanned document. The printer has a built-in document feeder that handles up to 20 sheets of paper. The KX-MB271 comes with the text recognition software that can convert scanned documents into text. As for paper capacity, there is only one paper tray for up to 250 sheets of paper. The KX-MB271 uses a USB port to connect to a PC, but there is no networking option available, so the device cannot be shared over a network. Panasonic KXMB781 is no different from the KXMB271 in terms of basic characteristics, but it supports sending and receiving faxes, and has an Ethernet adapter for networking. This enables users to send faxes straight from the desktop over the network. Scanned documents and received faxes can be sent over the network as well. Both printers support Windows from 98 to Vista, and don’t support Apple Macs. Panasonic KX-MB271 and the KX-MB781 are priced $149.99 and $199.99 respectively. This entry was posted on Friday, December 14th, 2007 at 5:10 am	and is filed under multifunction, Panasonic. "How to Detect and Fix Problems with Laser Monochrome Printing"